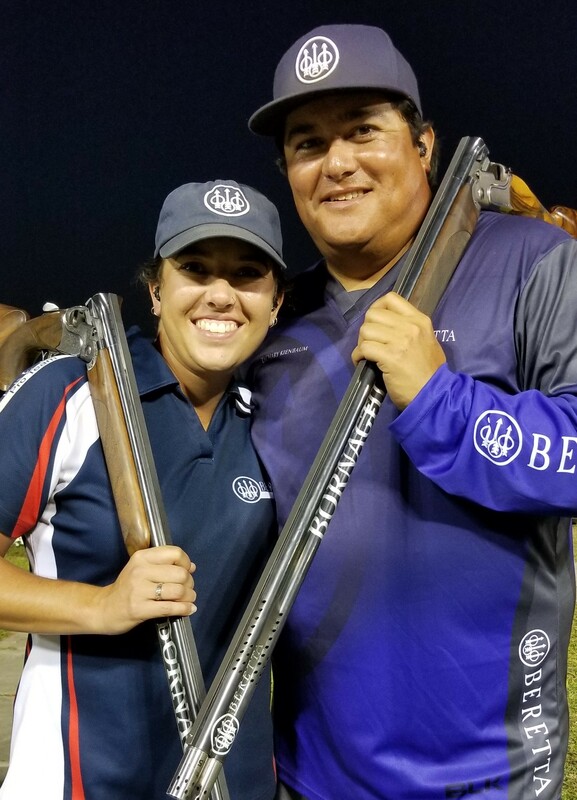 Everyone’s favorite sporting clays couple, Zachary Kienbaum and Desirae Edmunds, pleased the crowd Sunday when they each won championships by blazing their way through the Orange course to win their titles outright. After numerous finishes on Nationals and World podiums, it was finally Kienbaum’s time to win his first National Sporting Clays Championship with a score of 286, a one-target edge over runner-up Wendell Cherry and four targets ahead of third-place Anthony Matarese, Jr.
With a stellar performance on her final course, Edmunds surged ahead by eight targets over runner-up Annabelle Ayres to win the Ladies National Championship. Haylyn Hanks finished third. On Friday night, Edmunds also won the Top Gun Shoot-out, a competition featuring 15 of the sport’s top shooters in a challenging duel before a packed stadium. It was the first time a Lady shooter had won the Top Gun Shoot-out. 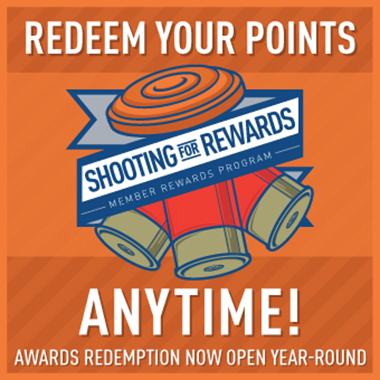 More than 2100 shooters participated in the 30th anniversary National Sporting Clays Championship at the National Shooting Complex in San Antonio. You can see all the results on Winscoreonline.com and see photos on our Facebook page.